Happy Thursday everyone! I love Thursdays because it means it's almost the weekend (and this weekend is special because it's my birthday weekend)! :) Anyway, I took part in today's Your Next Stamp challenge which is "Anything Goes"! Now I don't know about you, but sometimes, these challenges can be the most difficult! I mean...ANYTHING??? That's a lot of pressure! 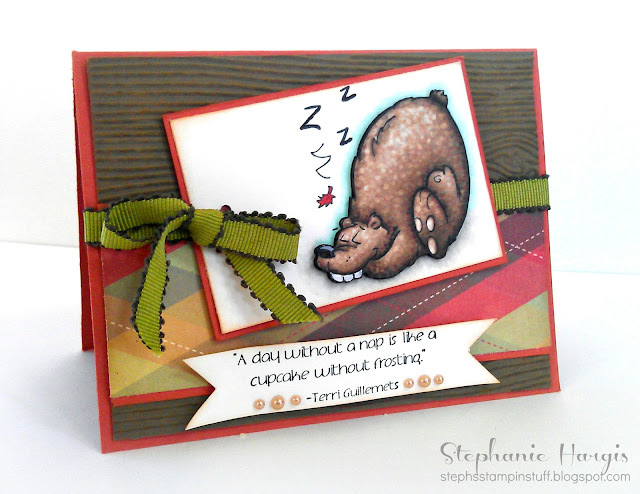 :) So I pulled out this hilariously adorable stamp called "Snoozer" and used this week's SCS sketch challenge. The card was then created using some Really Rust card stock (su!) and some Soft Suede card stock (su!) which I embossed with my wood grain folder and then distressed with some TH Antique Linen Ink. 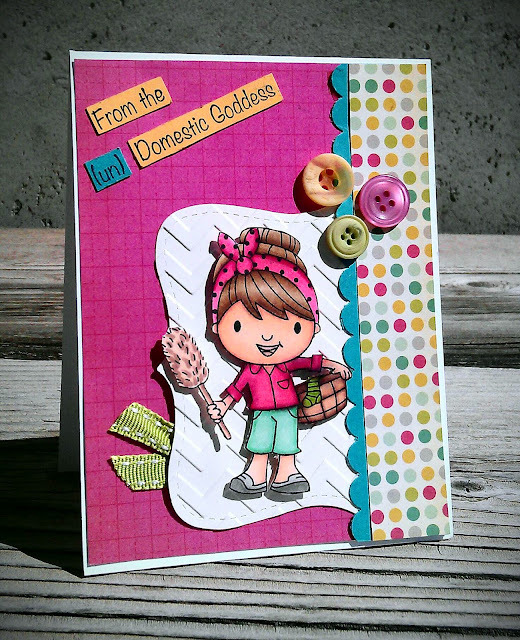 The fabulous dp is from Cosmo Cricket's Happy Camper line. I colored the funny bear with my Copic markers. To get the details in his fur, I used my markers and colorless blender to pounce little dots all over him. 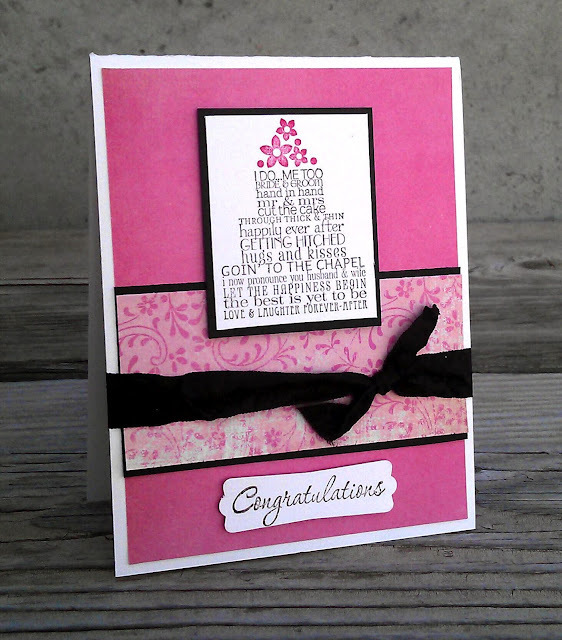 Finally, I finished the card by embellishing it with some pretty ribbon and pearls! So there ya have it! My finished card. I hope you like it as much as I do! :) I will definitely be pulling out this stamp again because I can see lots of potential for him! If you have this set and have used it, leave me a link to your blog and I would love to check out how you used him! I used the sketch from Karen's Sweet Sunday Sketch #169 and the Kraftin' Kimmie Challenge #150 Get Spooky. I think my favorite part about this card (aside from the adorable image) is the fact that I didn't use ANY Halloween paper. All of the paper is from old SU! dp paper packs. They are all retired so I can't remember the names of them (sorry) but I do know that they weren't for Halloween. Fun huh? Anyway, to create this card, I stamped the image with Memento ink and colored it with my Copic markers. I then cut out the image panel with my Nestabillities and layered it on some More Mustard card stock. I didn't really have a sentiment that worked well for the card so I used some white stickers to spell out "boo" and cut it out in a banner shape. I embellished the card with some black ribbon (from WalMart) and some random green buttons and that finished up the card! I hope you like it! 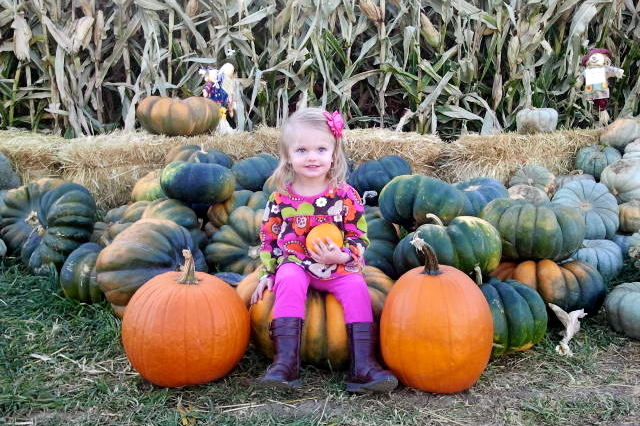 Now, as promised, here are some pictures from our trip to the pumpkin patch. I hope you enjoy looking at them! Thanks again for stopping by today! Good morning everyone! I know, it's Monday but I, for one, LOVE Mondays. Am I strange? For sure! :) Anyway, a few weeks ago, I got together with my good friend Leanne to create some cards. That is always a great time and I look forward to it every time! Anyway, I was able to finish two cards (which is a shocker because I love to talk and am not so good at multi-tasking) using the same, simple layout! 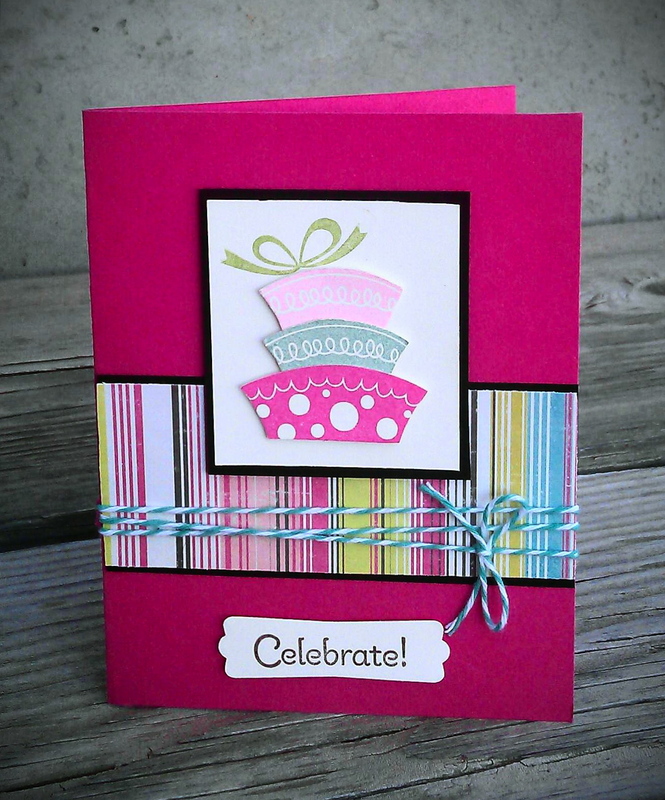 On my first card I used the Topsy-Turvy Celebration stamp set from SU! I LOVE this set. It is so cute and whimsical! For my next card, I pulled out the Love & Laughter stamp set from SU! My brother just got engaged so I wanted to make his fiancee a card and this set was perfect! I love the elegance of these images! For both cards I pulled out the very first set of dp that I ever purchased. I can't even remember what it's called! Sorry about that! Well, that's it for me today! 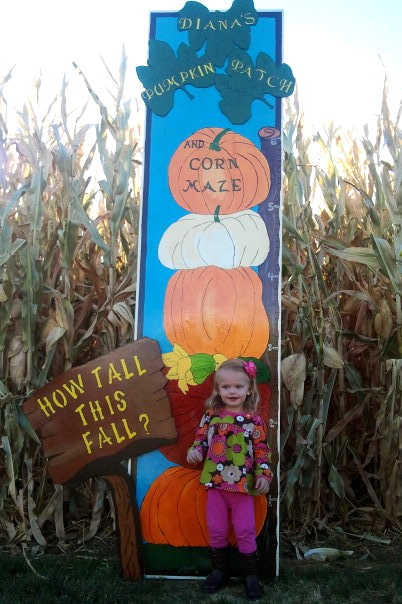 We spent the afternoon at the pumpkin patch yesterday and had a blast! I am working on editing the pictures so I will try to share those with you, along with another card, tomorrow! Have a great day! Good morning all! 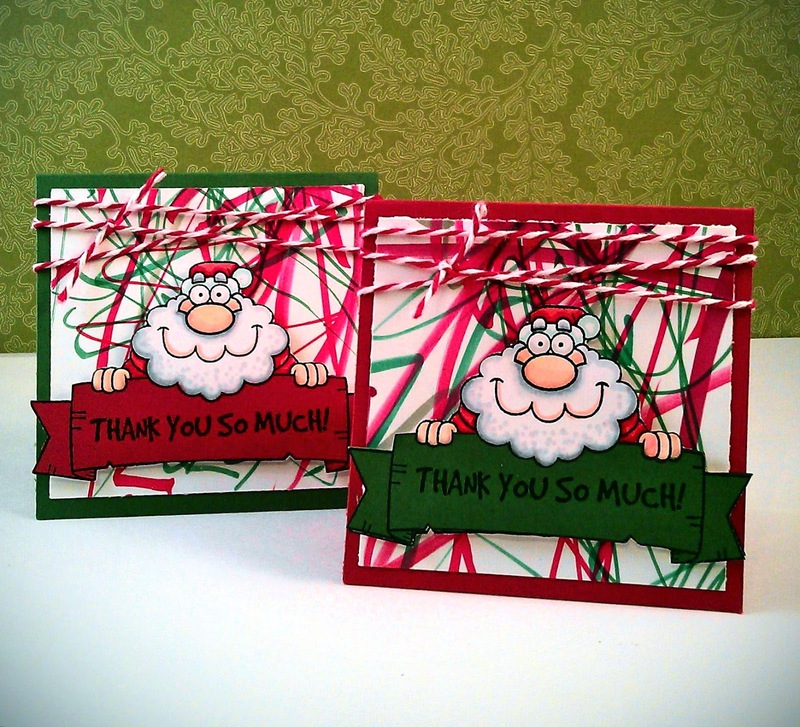 I wanted to share this sweet little gift set that I made for both Your Next Stamp Challenges from this week. This week's challenges were "Think Pink" and "Snow Fun"! For the "Think Pink" challenge we were to create something pink for someone fighting breast cancer or in memory of someone who has lost the battle. For my project I wanted to create something for a sweet lady in my church who is currently fighting this horrible disease. She just recently lost all of her hair so I crocheted a pretty pink hat for her to wear and thought it would be neat to make a special box to put it in. Of course, since the challenge from today was "Snow Fun" and I created a warm hat for winter, I wanted to make my projects snow themed as well! To make my box, I decided to pull out my "Skating Fun Fhiona" stamp since this was a hat for winter. I used this tutorial to create my box and embellished it with some different colored card stock which was embossed with my Cuttlebug snowflake folder and then adhered them in a color block pattern. I also added the ribbon and some pom pom tassles to hold the lid on. I then colored and cut Fhiona and popped her up on the front of the box. The final touch was to add some fun rhinestones to the scalloped edge on the lid of the box. Here's another view of the box so that you can see the color blocking and the top a little better. Finally, I wanted to create a little card to go along with the gift. I wanted to include a sentiment that I knew would mean something to the recipient so I pulled out my vinyl Thickers and spelled out the word "hugs". 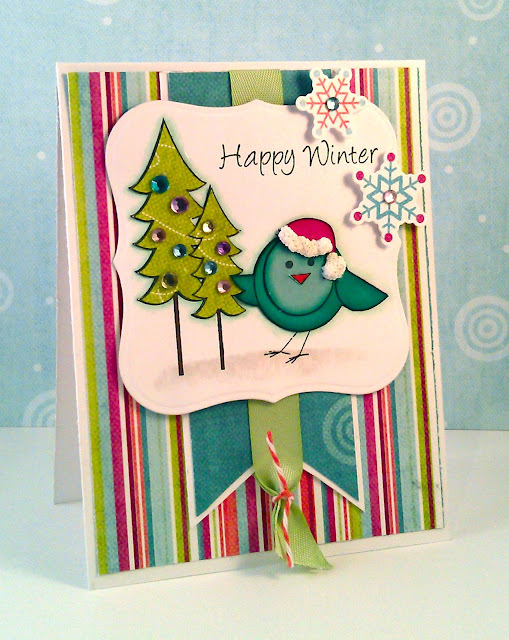 I love the little bird from "Get Well Accessories" set, so I stamped, colored, and cut him out twice and then adhered him to the card with dimensional adhesive. 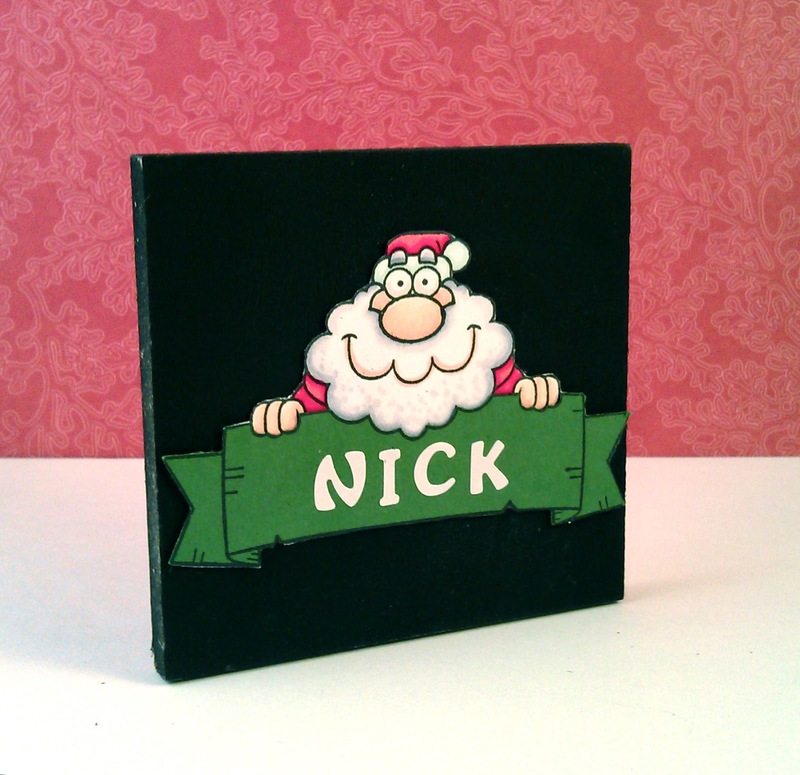 The card is 3x3 so that it would fit with the box and was created using a piece of Cosmo Cricket Jolly by Golly patterned paper. I then embellished it with the same ribbon and rhinestones that I used on the box. 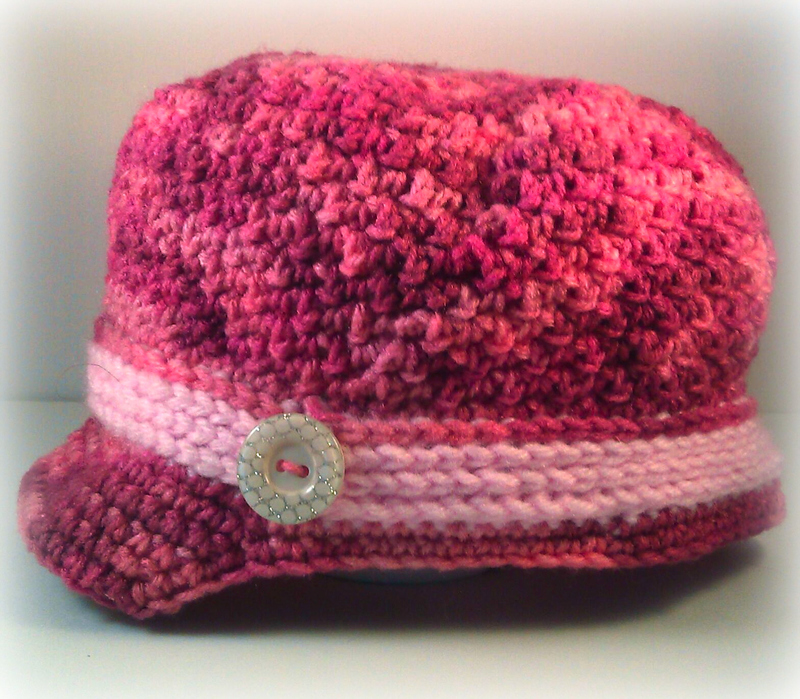 For those of you who are interested, here is the hat that I created for my friend. I love the colors in it! So what do you think? Do you think she will like it? I definitely enjoyed making it for her and am excited to give it to her on Sunday! Stop by the YNS blog to see both challenges and the other designers creations! I hope you can play along this week! 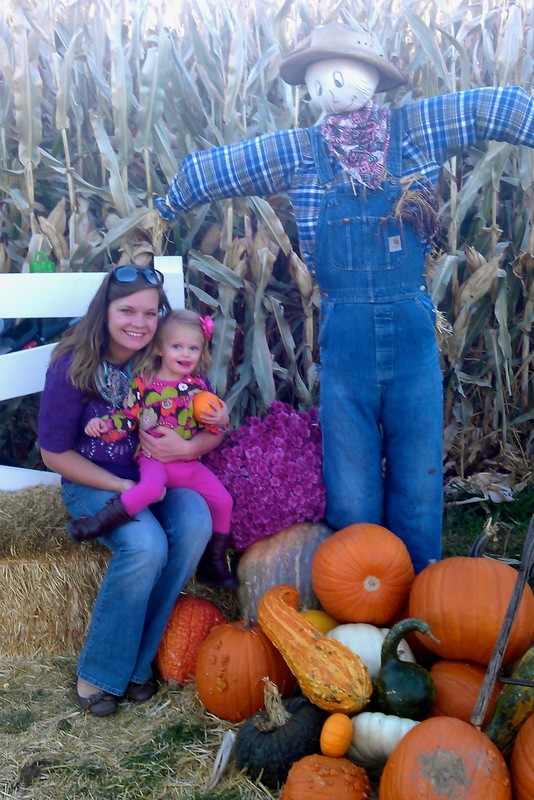 YNS October New Release Blog Hop! 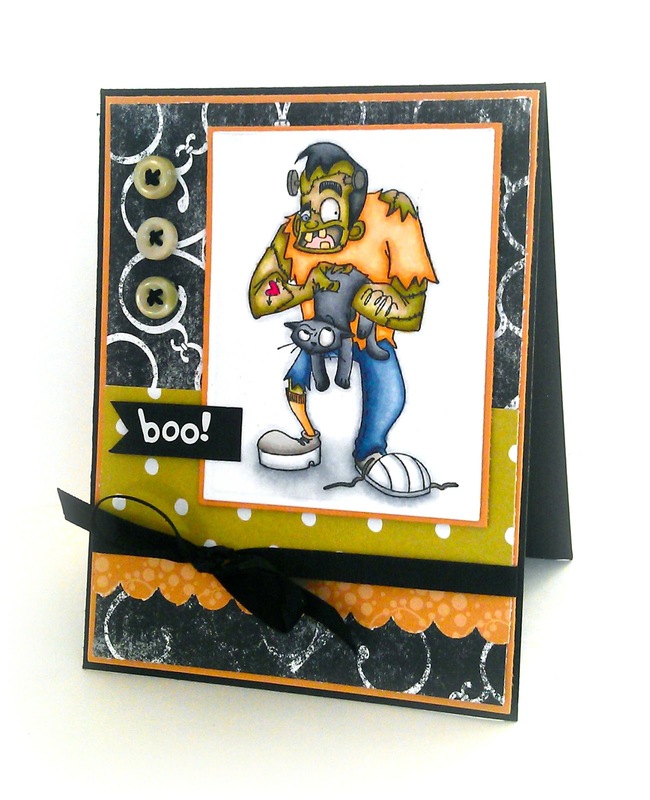 Hey everyone and welcome to the October Your Next Stamp New Release Blog Hop! I am SO glad that you stopped by today! You won't be disappointed, I promise! 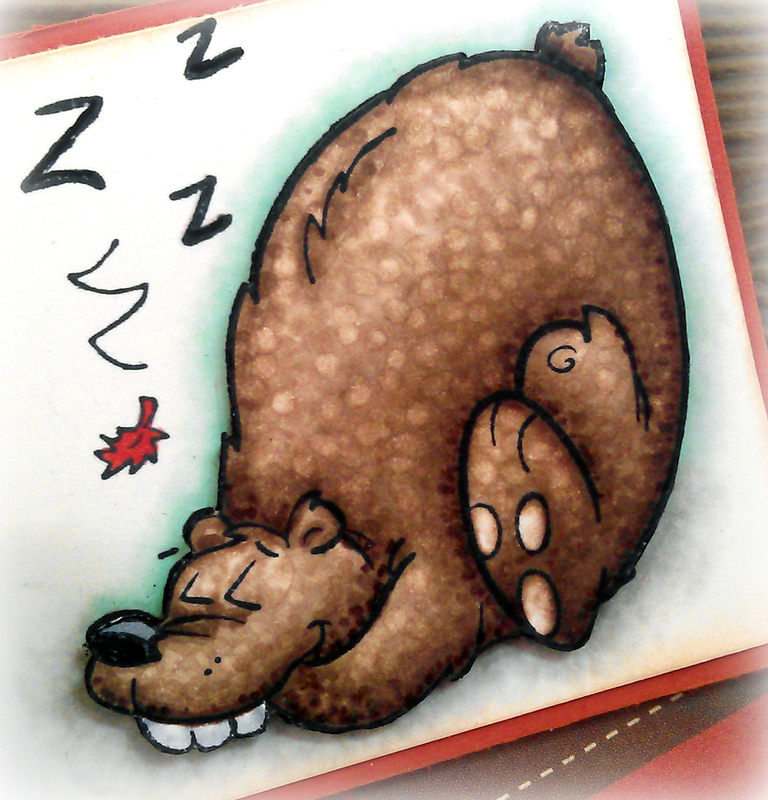 We have tons of adorable new images to show you including some stamps from TWO new artists-woohoo!!! 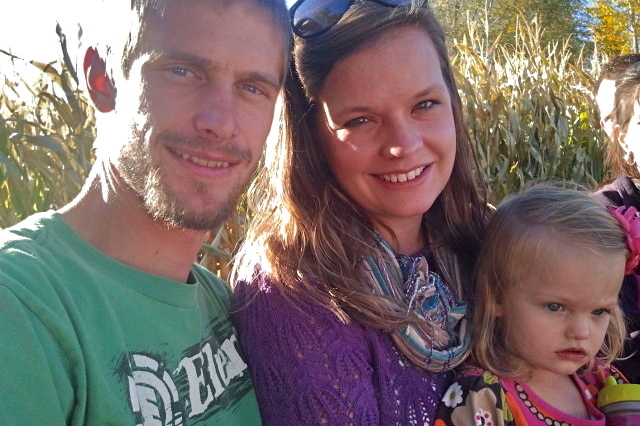 We are so excited to welcome Cory Designs and Mabel Designs to the YNS family. We are all just LOVING the new images, and we know you will too! We also have some new stamps from artist Heather Rolin and two awesome new dies! Now onto my projects! I am so excited to show you the ADORABLE Santa's List set that you can purchase. The best thing about this set is just how versatile it is. I had so many different ideas running through my head when I first saw this set so I wanted to share with you a few of them! This first project is one that I am SO excited about! I have had this clipboard in my stash of alterables for a few years now. I picked it up at Michaels from their dollar section so I am not sure if you will be able to find it still, however, I am sure you would be able to find something similar! 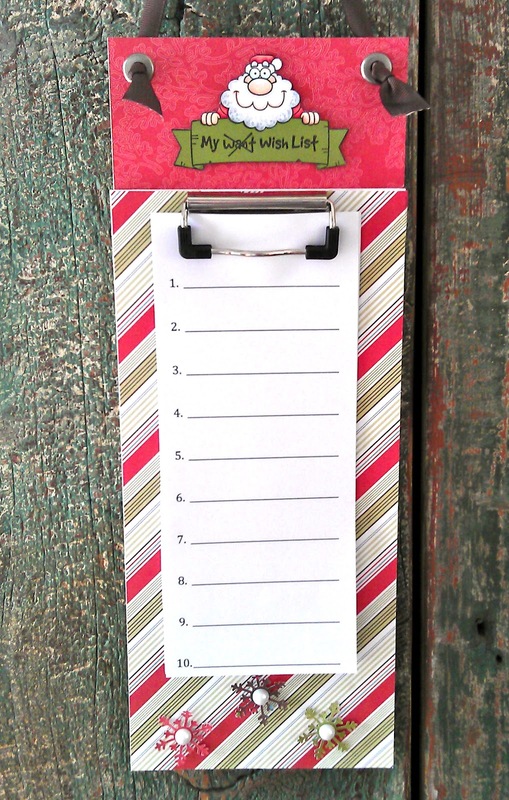 Anyway, I am an avid list maker, especially at Christmas time! I wanted to have a place where I could keep track of gift ideas for everyone in my family (and there are a lot of them) so I created a clipboard that I can hang on my fridge! I created the lists using Word on my computer and printed them out on regular paper. Then, whenever I get an idea for a gift, I can just write it down under their specific page! 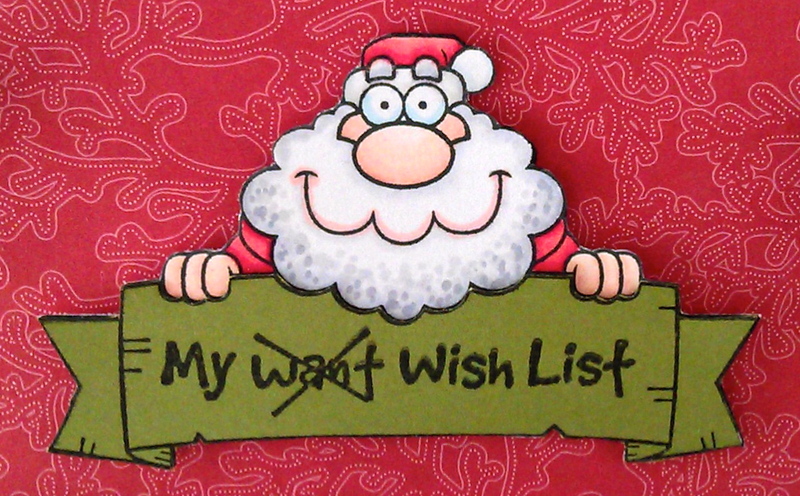 And seriously, is that Santa with his want wish list not the cutest? Now onto my second idea! When I saw that this fun set had a "thank you" sentiment in it, I just knew that I was going to use it to create thank you cards from Addison to give out after Christmas. I had her color the background paper with some markers (under my careful observation of course...she likes to color her skin) and stamped the Santa and his banner on some white card stock which I then colored with my Copics. I also stamped him a second time on some solid colored card stock so that the banner would stand out. And onto my last project! 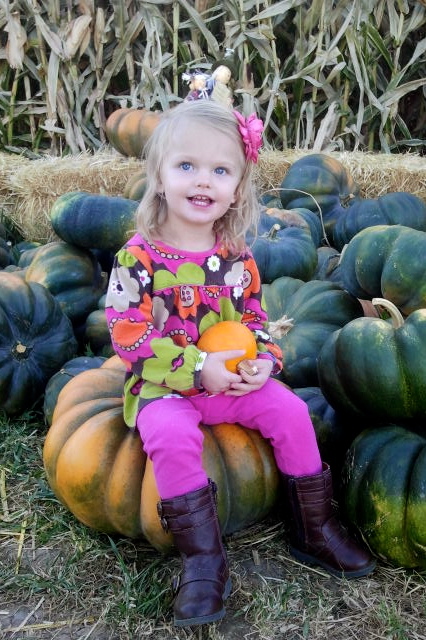 I really wish these pictures were able to show you just how adorable it is but, sadly, they don't do it justice. This cute little nameplate is actually a wooden stand that I purchased off of a craft website a few months ago. Basically it is a square piece of wood, painted black, with a dowel glued to the back in order to prop it up. When the ideas were rolling through my head as to how to use this set, I thought it would be so fun to put a name in the banner instead of a sentiment. I just used some white stickers and added in Nick's name to the banner. I then glued the finished Santa to the wooden stand and it was finished! So easy yet so cute! Now there are so many other ways that this set can be used. 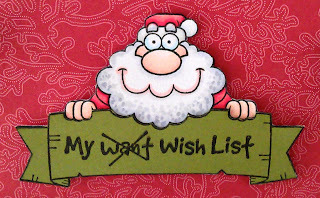 I was thinking that he would be fun to use as a gift tag, on a regular Christmas card, as an ornament to showcase the children's wishlists, etc. The possibilities are endless! Now it’s time to hop on over to Tracey's amazing blog, but don’t forget to leave me a comment before you go so you can be in the running for a new release prize pack! Happy Hopping! Isn't this little bird just the cutest thing? I had so much fun paper piercing him and his Christmas tree! This is one of the newest stamps that will be released this week at Your Next Stamp! I am SO excited about these new stamps and I just know that you are going to love them as much as I do! Stay tuned for tomorrow's blog hop too because there are going to be some awesome prizes! Want to see more? Sure you do! Stop by the YNS blog to see all of the other sneak peeks that are being shared today! Thanks for stopping by! Be sure to check out the YNS blog today because we are preparing for the new release and have some sneak peeks there for ya! I know you are going to love this month's stamps because I certainly do! Good Friday morning everyone! I am thrilled to be able to share a card with you today because I was asked to be this months guest designer for Your Next Stamp! Woohoo! If you weren't already aware, YNS is one of my all-time favorite stamp companies! Their designs are so adorable and I just love to color them with my Copics! That being said, I am just over the moon excited to be able to join the fabulous YNS design team again this month! Anyway, today I participated in this week's YNS Fun Friday. For the month of October, our Fun Friday theme is "Let it Snow". Of course I had to pull out the adorable snowman from the "Freezy the Snowman" set. He is just so stinkin' cute! Also, I wanted to use a sentiment from the amazing "Holiday Snow Globe Set". I just love that set! To create my card, I pulled some Garden Green card stock (SU!) 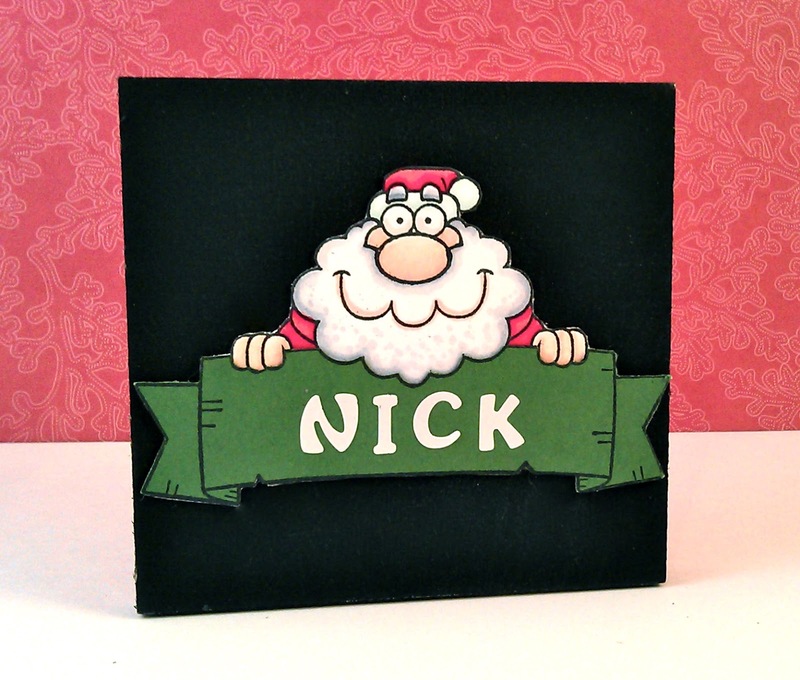 for my cardbase and embossed it using my snowflake Cuttlebug folder on half of the card front. I then layered on some panels using Riding Hood Red (SU!) and Chocolate Chip (SU!) card stock. 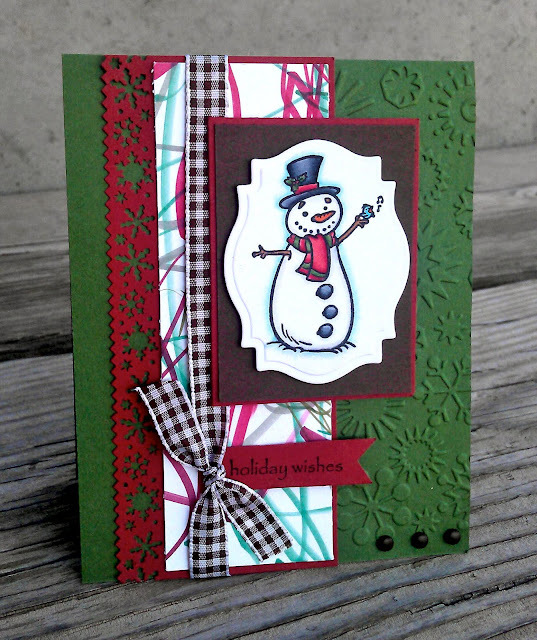 I stamped and colored the snowman using my Copic markers and then cut him out using the Spellbinders Labels Eighteen dies. I used the Martha Stewart snowflake border punch to add some detail to the red strip and embellished with some ribbon and brads. Now on to my favorite part of the card. The dp. Can you tell what it is? My 20 month old daughter colored it for me! I was trying to figure out a way to really personalize our Christmas cards this year and what better way then by having her help me make them??? My husband absolutely loved the idea and was amazed that I could create a card that still looked well put together after using a piece of paper that had been "scribbled" on. I think her "scribbling" just adds so much though! What do you think? Well, that's all for today's card! 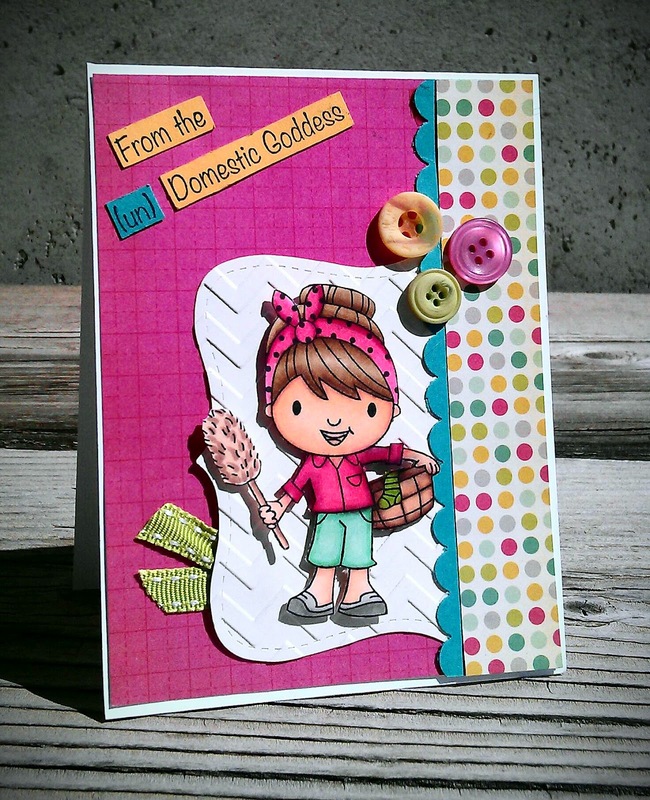 Stop by the YNS blog to see what everyone else has created for today's Fun Friday challenge! Feel free to play along as well! We would love to see what you create!